UN allegedly aware of the arms sale, but have not taken action yet; concerns of escalation in sectarian tensions across the Middle East. Al Qaeda has been attempting to take over Sunni areas of Iraq for several months, testing the Shi'ite government after the US pulled out over two years ago. Tensions have simmered over in Iraq's political vacuum, as the Sunni population is still reeling with resentment after the US ousted leader Saddam Hussein in 2003. Syria has also been a gateway to more violence, as Al Qaeda uses the war-torn country as a base to train global jihadists. Iraqi lawmakers told the agency that the deal stemmed from Al-Maliki's frustration at the US, who had delayed in providing arms out of concerns that they would fall into the wrong hands. Maliki's spokesperson could not officially confirm or deny the sale, but stressed that the weapons had been badly needed. 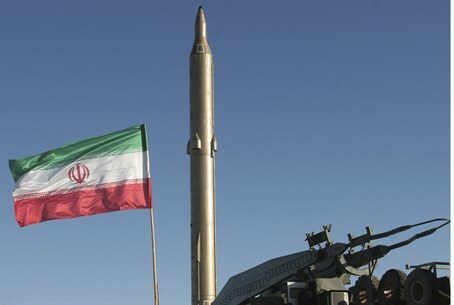 A US official noted to Reuters that the find could have drastic consequences for Tehran's relationship with the UN - and possibly the West as well. Iran and Iraq have become closer since Saddam Hussein's ouster, a phenomenon worrying the US over changing alliances in the already-volatile Middle East, according to the report. Iran is under Shi'ite rule, and Iraq has a majority Shi'ite population - making them natural allies in the larger sectarian tensions facing the Muslim world. Hussein, a Sunni, hindered all possibilities of a faction-driven alliance; now that Tehran's arch-nemesis is gone, however, the two countries have begun to work closely to fight for a Shi'ite stronghold in the Middle East. Iran already supplies Baghdad with electricity and gas and reiterated an offer of military assistance in January, according to Reuters. In addition, the former enemies have been working together to arm Hezbollah in Lebanon, according to a Kuwaiti report in December.